Brazil’s national high school moves exam from Shabbat after Jewish lobbying. 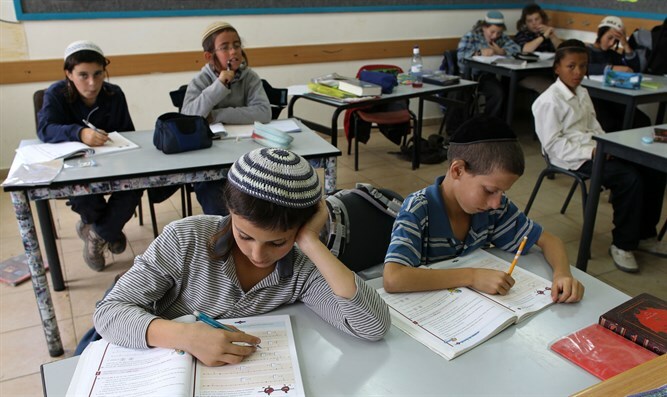 JTA - Over 8 million Brazilian teenagers will take the annual two-day National High School Exam on Sundays, and not on Saturdays anymore, after a long-running campaign by Jewish groups and members of other religions who observe Saturday as Shabbat (Sabbath). In 2016, some 76,000 applicants were confined to classrooms between 1 p.m. to 7 p.m. on Saturday in order to start the test after sunset without the possibility of cheating. This year the test will be held on consecutive Sundays, Nov. 5 and Nov.12, education officials announced on Thursday. “We are very pleased with the decision, which shows a concern to meet a legitimate claim and prevent young people from being isolated and locked up for hours until they could begin the exam, thus allowing those who keep Shabbat to have their dignity respected,” said Fernando Lottenberg, president of the Brazilian Israelite Confederation. The decision to change the dates of the exam — known by the acronym ENEM — is the result of a public poll held by the Ministry of Education. Some 42.3 per cent of 600,000 participants in the poll voted for the exam to be held on two Sundays in a row, whereas 34.1 per cent voted for Sunday and Monday and only 23.6 per cent wished to keep the traditional one-weekend Saturday and Sunday format. “We had been pleading this change for years, it started in previous administrations, and the request was submitted to minister after minister,” said Lottenberg. The ENEM was originally introduced to assess the quality of secondary-level education in the country, but it has evolved into a content test now used for other purposes, including admission to the main federal universities and other public institutions. Since it was created in 1998, the ENEN has become the largest nationwide test in the world after China’s Gao Kao, the National Higher Education Entrance Examination, which is taken by more than 9 million students.